Reliable vehicles under $8k CAD? 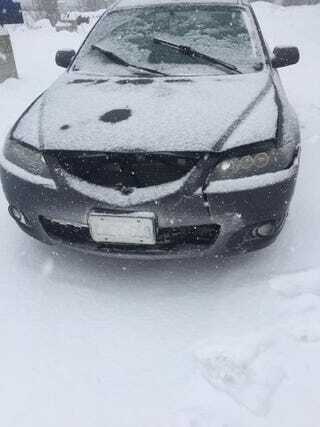 Well, Sister CB (the eldest one) drove through a whiteout near Port Severn and spun out her 6, and insurance has decided the $8k in repairs makes it a write-off. So, any recommendations for something reliable under $8k CAD? She needs something that can survive repeated four hour drives, be good in snow, have decent fuel economy, and be cheap to maintain? She wants another 6 hatchback, but she’s having difficulty finding automatics she likes without a ton of kilometres. Any help is greatly appreciated!